I have known many pastors in my 20 years of ministry, but the “pacifier” is the most dangerous type. This one is growing in popularity. In fact, most churches want to hire him. What is this guy like? He values his paycheck and popularity more than pleasing God. 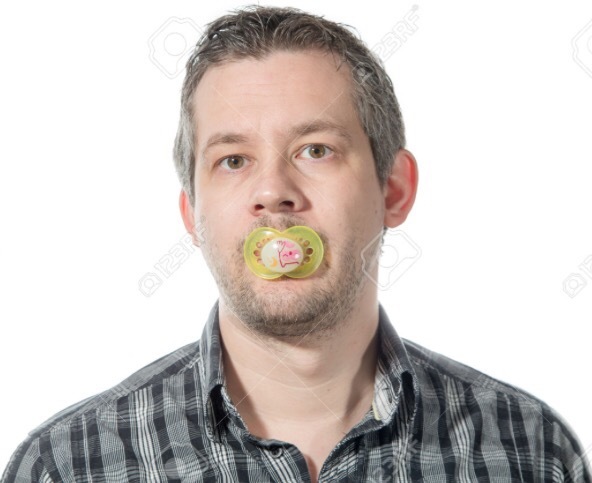 When the deacons start making threats and people start leaving or threatening to leave, he pulls out the pacifier again so that all the church will be happy (so he thinks). He won’t initiate or suggest change because they’ve “never done it that way before”. Why rock the boat? It’s much easier to do nothing for Jesus than to be uncomfortably obedient. He will base every move on whether or not someone might get mad. The church won’t do squat, but all is peaceful because it’s dead! If you are a true believer who wants to grow in your faith, Pastor “Pacifier” won’t be good for you. The church will stifle you, and you will always crave for more in your Christian life. Go where you can grow and be challenged while praying that Pastor “Pacifier” gets some guts. Pastor Pacifier is a people pleaser. One like King Saul who satisfies the flesh and not God. Pastor get some guts…AMEN! Too many times the congregation likes a Pastor with NO guts. Sad state some of our churches are in. God help me to lead others to you! Grateful for a pastor who is the opposite of this! I am a pastor’s wife. I see those who are faithful even with few coming. I believe if people knew the value of praying together, they would come more consistently. I agree. As I am now a church planter with a small crowd and have worked in a few smaller churches, I see faithful pastors of all church sizes. A key element among these faithful pastors is prayer. We desperately need more of it.